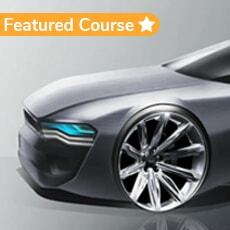 This short course introduces to Car sketching. 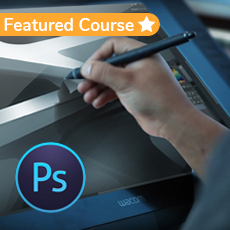 Its starts from the very basics of sketching to more advanced levels while giving you engaging assignments. 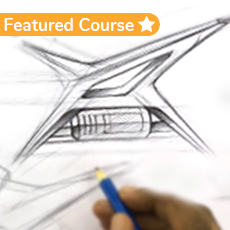 Be it a student or professional, this course is useful in building your core drawing and sketching skills which will help you in the design/automotive industry domain. We begin by basic exercises where you train your arms and hands to get used to sketching. The training starts with simple sketching techniques for lines, circles, and ellipses. The second phase introduces you to perspective drawing, basic shapes and moves on to complex forms. 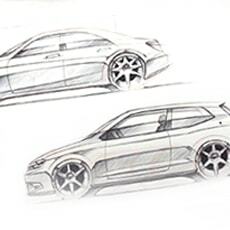 After you learnt the initial skill sets, the third phase brings in Car Sketching. 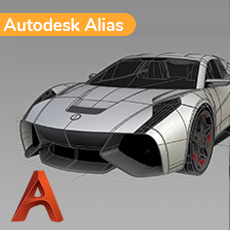 It introduces you to Car segments and proportion while covering different front,side and rear view sketching methods. EASY & SECURE PAYMENT – Making payments is easy through our secure channels like CC Avenue, Paytm, Paypal, UPI etc. We accept all debit and credit cards. What’s more, you can choose an EMI plan if you are paying with a Credit card. 7 DAY MONEY BACK GUARANTEE – After subscription, you can start the course by watching the videos. If you are not satisfied with the content for any reason, you can choose to terminate your subscription within seven days of purchase. We provide a 7 day money back guarantee. THEORY – Learn the fundamental visual factors that govern the design field. Detailed presentations help you understand the necessary methods to approach design. 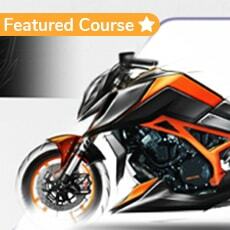 BASIC DRAWING SKILLS – This is the fun area where you will learn design sketching from the very basic levels. Understand and practice the fundamental drawing techniques. 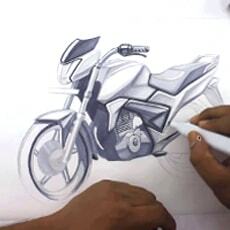 ADVANCED DRAWING TECHNIQUES - Once you've learnt the beginner drawing skills, you move on to learning slightly more advanced skills. Here you will learn how to different types cars. 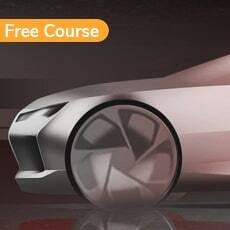 MARKER RENDERING & ILLUTRATION - Get introduced to basic marker rendering techniques with a few simple car rendering demonstrations.